As co-founder and principal at ANDERSON, Ted overseas strategic planning, client relationships and new business development. 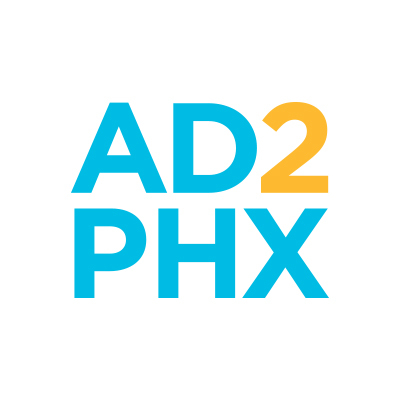 Ted has played an instrumental role in the Phoenix advertising market for nearly 30 years, active in all aspects of the industry, from public relations and media buying to brand-building and creative development. Ted got his start in Southern California, working in field marketing for film studios and live theaters, laying the foundation for a broader career in advertising and public relations. He has directed major campaigns and developed high-profile brands in a number of industries, including healthcare, entertainment, restaurants and hospitality, banking and financial services, education, technology, retail and the non-profit sector. Ted has led marketing teams in service of major local and national brands, including Kentucky Fried Chicken, Phoenix Children’s Hospital and Foundation, Mayo Clinic, Harkins Theatres, Hamra Jewelers, Desert Schools Federal Credit Union, NYPD Pizza and the Arizona Super Bowl Host Committee. A creative thinker and collaborative team leader, Ted is known for immersing himself in his clients’ businesses, assessing their needs and challenges, and strategizing solutions for moving their brands forward. Ted attended San Diego State University, where he studied Telecom and Film/Advertising. He’s fascinated with new technology, photography, videography and music, and is a big believer in the power of community to create positive change. He’s a proud parent of 13-year-old twins and a brown dog named Kona. Congratulations to the 2017 ADDY Winners! Click here to download the 2017 ADDY Winners Book.